WhatsApp, One of the most popular social chat app available for all the mobile and desktop platform. In the recent update on WhatsApp iOS app, one key feature added by WhatsApp officially. The helpful and quickest way to reply Chat directly from lock screen iPhone, iPad or iPod Touch. 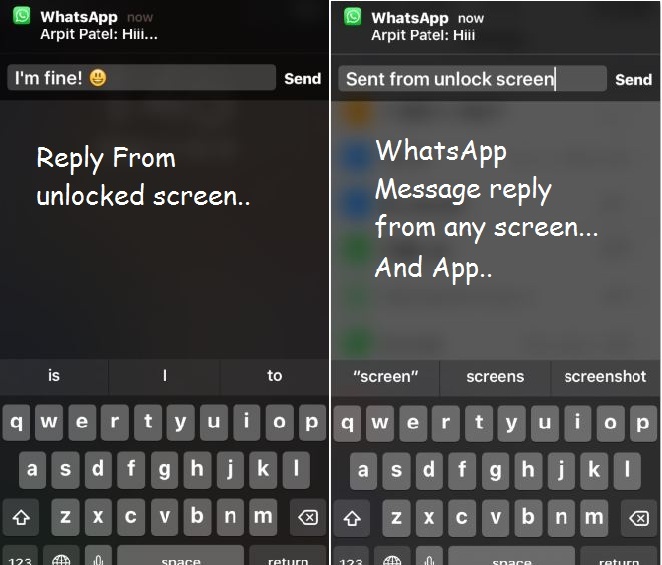 Instant reply WhatsApp lock screen iPhone Not only useful for iOS 12 users but all the users, who have update WhatsApp version. Just pull down app notification center for quickly reply all incoming message from WhatsApp’s recipients individually, saved in your WhatsApp iOS application. 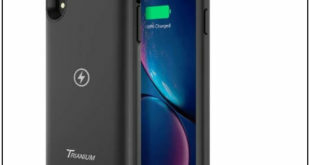 Compatible Devices: iPhone 4S/5S/5, iPhone 6, iPhone 6 Plus, iPhone 6S/ 6S Plus/ iPhone 7/ 7 Plus/ iPhone 8/8 Plus/ iPhone X/ XS Max/XS/XR, iPad and iPod Touch. 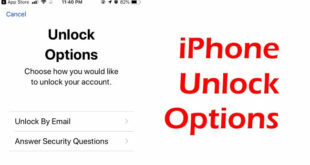 See the below locked iPhone screen; incoming WhatsApp message will show up like below screen. Otherwise, you missed or reply old message at the time on comes to your iPhone or after display timeout. Swipe your finger from top to bottom; See the notification pane for all apps. Then, you can send the message in the text file. By tap on textbox field. If you are working on another app, you will also get the WhatsApp message from the top of the screen. The slide below like drag message, you can see reply box. Type and send. With this feature you might lose the protection like unknown can read and sent a reply without unlocking screen or enter the passcode. 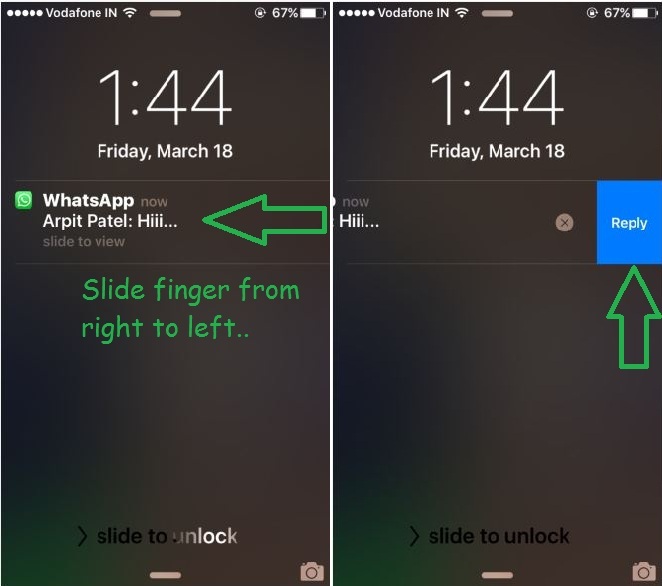 Right now you have no option for disabling instant Reply WhatsApp lock screen iPhone. ﻿ You might like: Unblock or Block WhatsApp contact on WhatsApp app. Reply WhatsApp lock screen iPhone or other iOS great help from WhatsApp for social fans just like iMessage instant reply also works like that.